Various OFW groups expressed support to the building of the New Manila International Airport in Bulacan in petition letters sent to the Department of Transportation and also to the Office of the President. The OFW groups also noted that Bulacan province is fast-becoming the next growth area. It is adjacent to Metro Manila and a strategic neighbor of Pampanga, thus accelerating and strengthening the growth corridor for investments and tourism for the Central Luzon-Northern Luzon corridor. The NMIA, as proposed and envisioned by San Miguel Corporation, will have a world-class terminal, four runways, a road network, connection to MRT and ferry services. Fourteen OFW groups signed the petition letters: Blas F. Ople Policy Center, Integrated Seafarers of the Philippines, OFW Watch, OFW Chamber of Commerce, OFW Council of Leaders-KSA, Kabalikat ng Migranteng Pilipino, Kapisanan ng mga Kamag-anak ng Migranteng Manggagawang Pilipino, Inc, LBS Recruitment Solutions Corp, Philippine Association of Migrant Workers & Advocates, Kaibigan ng OCWs, OFW Committee, Zonta Club of Quezon City, United Filipino Seafarers, Ang Kaagapay ng Bawat OFW, Filipino Malaysian Cultural Sports and Workforce Training Program and the Bulacan Federation of OFW Family Circle Officers. Susan Ople, head of the Blas F. Ople Policy Center, said they wrote the letter as an expression of support not just to the building of a new airport in Bulacan but also for other major infrastructure projects that would lead to job creation and OFW reintegration. “Optimism is high that once these critical projects begin, then floodgates for more jobs and potential investments will be flung wide open. Hopefully, more of our OFWs would be enticed to return and reunite with their families because more local jobs would be open to them,” Ople said. 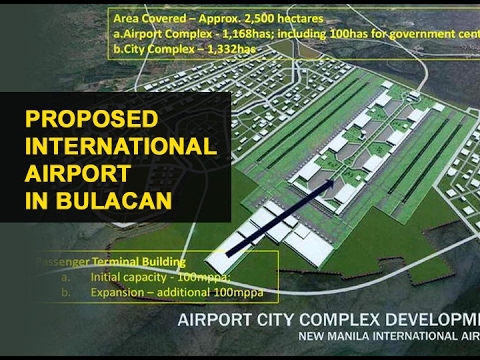 The building of a new international airport in Bulacan is projected to create more than a million new jobs while easing perennial flood problems in the province through the building of a coastal highway that would also serve as a spillway. “We look forward to witnessing the completion of not just one but perhaps several new other international airports nationwide within our lifetime. This would truly make our OFWs proud to come home,” Ople said.